Dirt and general wear and tear can take its toll on rucksacks. Regularly wiping them down can help to minimise dirt building up, but if your rucksack is really dirty or has started to smell, you’re going to have to wash it properly. This guide runs through exactly how to clean your rucksack in the washing machine or by hand, and how to use our rucksack covers and rucksack liners to avoid needing to wash them so often. *Not all backpacks are machine washable, so always check the label before washing it. 1. Empty your backpack and leave all pockets unzipped. Check the pockets for any small items and check the corners for any dirt that may be lodged. If your backpack has a metal frame, remove this before washing. 2. Check your backpack can fit in the washing machine and has enough room to move around. 3. Put your backpack in a laundry bag if possible as this prevents the straps getting caught and damaging your bag or washing machine. 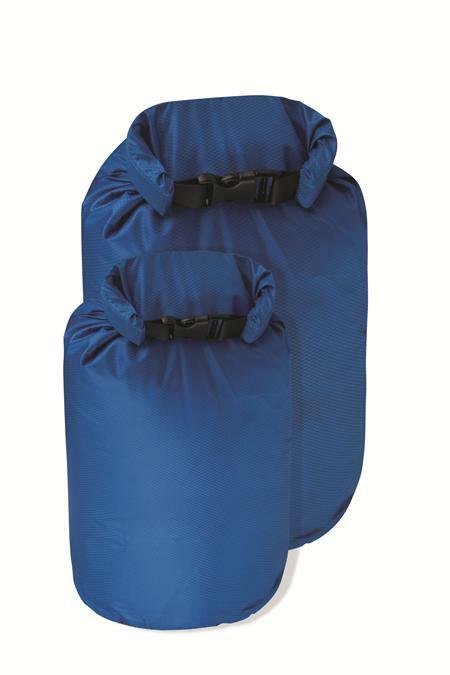 Alternatively you can use a pillow case or simply turn the backpack inside out. 4. Run the machine through an empty wash to clear any detergent residue from previous washes. 5. Use a small amount of gentle detergent that is suitable for backpacks. Don’t use regular detergent or fabric softener as these may damage the material. 6. 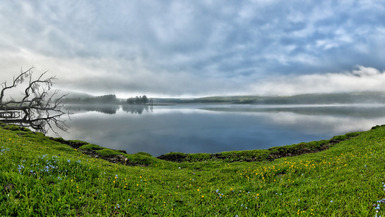 Wash the backpack on a gentle cycle in cold water. 7. Remove the backpack from the laundry bag and leave it to dry naturally. Try to hang the bag upside down if possible, and make sure the bag is 100% dry before storing it away. If your backpack is too large to fit in the washing machine, you can clean it by hand in the bath. Smaller backpacks might fit in a sink or basin. Always check the label to make sure the bag can be fully submerged. 1. 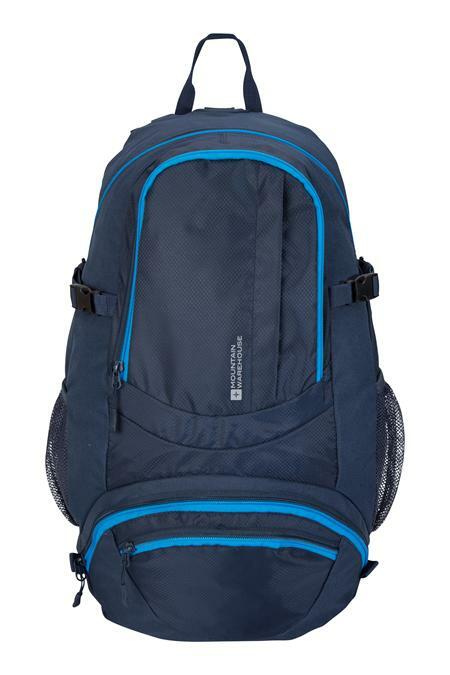 Empty your backpack, checking all pockets and corners for any small items or dirt that may be lodged. If your backpack has a metal frame, remove this before washing. 2. Fill a bath or basin with plenty of lukewarm water. If the water is too hot it can cause the backpack’s colors to run. 3. Add a small amount of detergent-free soap to the water. Don’t use regular detergent or fabric softener as this can damage the backpack, especially if it’s waterproof. 4. Scrub your backpack using a soft brush or a cloth, focusing on the areas that are particularly dirty. A toothbrush can be useful for any tough stains or for getting into those difficult to reach areas. 5. Allow the backpack to dry naturally. Try to hang the backpack upside down if possible, and make sure it’s 100% dry before storing it away. If your backpack is not machine washable or cannot be fully submerged, you can use a wet cloth with a small amount of detergent-free soap. Can You Put a Backpack in the Dryer? You should never put your backback in a dryer as this can cause damage. Instead, you should allow your backpack to dry naturally, away from any direct sources of heat. 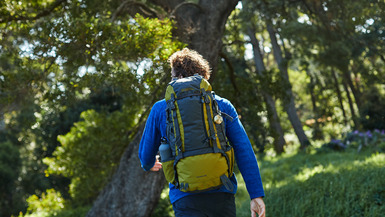 Hanging your pack upside down can help ensure that no water is left sitting in the pockets or corners of the bag. Always make sure the backpack is completely dry before storing it away. To prevent the need for frequent washing, check out these products which will help you keep your bag fresh! 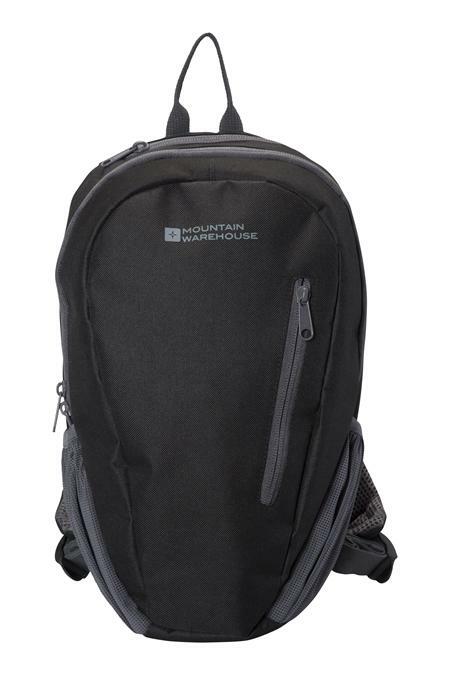 Our backpack covers help protect your belongings and bag from the rain, which can cause mould to build up if it isn’t dried properly. These waterproof bags sit inside your backpack to stop any spillages or wet items damaging your bag or making it smell. 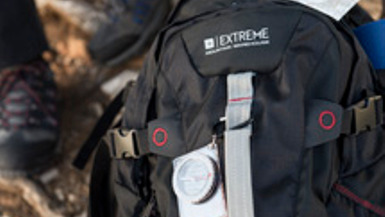 Wear and tear is inevitable but taking care of your backpack can increase its life span. Mould can build up on backpacks if they get wet and are not dried properly before storing or using again. 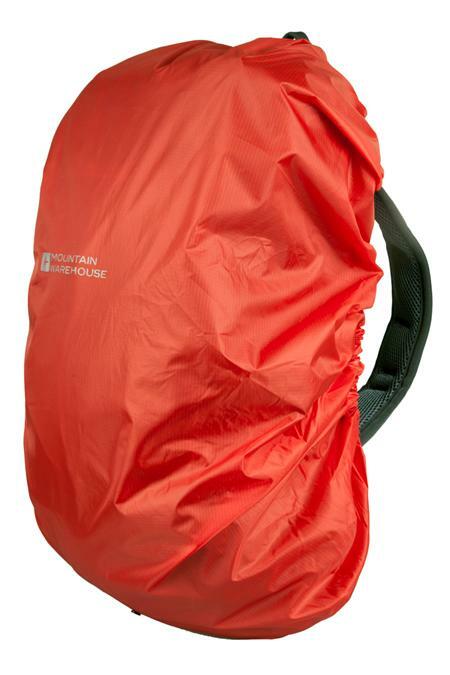 Rucksack Covers are a great way to keep the rain off your bag and keep its contents dry. Pack anything that may cause damage to the bag, including tent pegs, poles, knives and even the sharp edges on boxes or pots and pans, in a way that they are not likely to pierce through the material. This can be achieved by packing these objects tightly against other objects so there is limited movement or even packing them within softer objects like clothing. 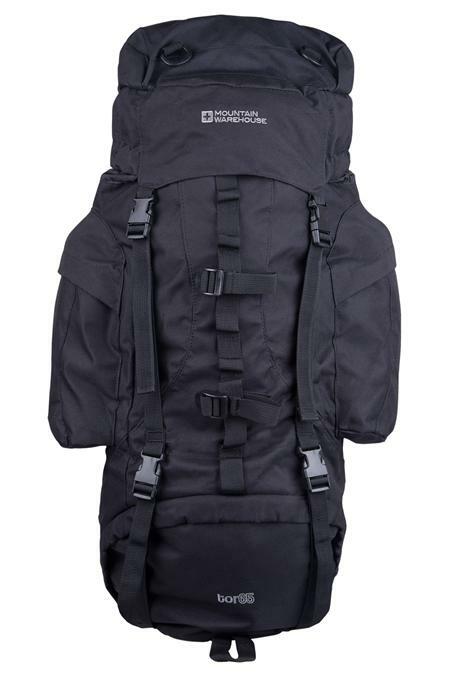 For more information check out our how to pack a rucksack guide. Backpacks are designed to be hardy with many made from ripstop fabrics but it doesn’t mean you shouldn’t treat your bag well. 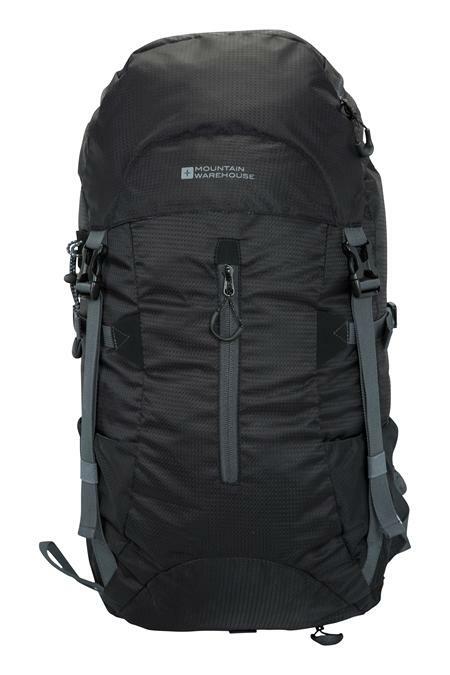 Don’t drag a backpack over rough ground as this can weaken the material and cause holes to develop. Be aware of brambles and thorn bushes, try to lift your backpack above your head to avoid them tearing into your pack as you walk through or past them.